Maybe you’ve been supplementing with creatine monohydrate for some time, but haven’t been reaping its immense benefits. We’re optimistic NutraKey Creatine Monohydrate will defy the logic of your regular creatine supplement, as you’ll find out in this review. Five grams of creatine monohydrate per serving. Helps increase muscle mass, strength, endurance, and power. Superior absorption. Not your average creatine monohydrate supplement. No glaring weaknesses. One of the best creatine supplements on the market. Directions: Take 1 serving (1 scoop) with water or your favorite beverage. Take 1 serving 30 minutes prior to training and 1 serving immediately after. Non Training Days: Take 1 serving with first meal of the day, take second serving at least six hours later. Directions: Take 1 serving (2 capsules) with water or your favorite beverage twice daily. Take first dose 30 minutes prior to training and second immediately after. Loading Phase: For first five days of use take 1 serving with water or your favorite beverage four to five times daily. Separate doses at least two hours apart. We hope you’ve checked out our creatine reviews here on B5. We’re talking about some top-notch bodybuilding supplements. Some that come to mind are Controlled Labs Green Magnitude and TWINLAB Creatine Fuel Stack. On that note, we’re hoping we can mention NutraKey Creatine Monohydrate in the same breath. This manufacturer is an up-and-coming player in the bodybuilding supplement industry. Let’s cross our fingers it continues to soar. Its NutraKey Whey Optima is a protein supplement which has an incredible eight digestive enzymes. Talk about insane bioavailability. However, its not a perfect product (high cholesterol, sucralose content, etc.). We’re hoping its creatine counterpart dan do it one better. 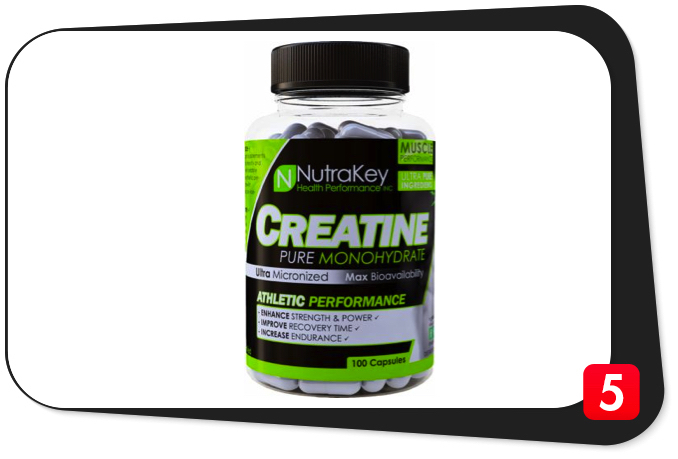 NutraKey Creatine Monohydrate will help improve your athletic performance. The manufacturer says NutraKey Creatine Monohydrate has maximum bioavailability and is ultra-micronized for superior athletic performance, per its official website. More specifically, the company dubs creatine monohydrate, “the longest-studied and most-used bodybuilding supplement” which “increases strength, muscle size, and endurance,” per the same source. That tells you the manufacturer isn’t making things up. In fact, we also agree with its assessment – creatine has gone under the microscope time and again. And yet, it has also repeatedly given bodybuilding enthusiasts tremendous results. We don’t see this trend changing anytime soon. Not only that, but the folks at NutraKey say, “Creatine plays a key part in buffering lactic acid production and reducing the ‘burn’ you feel after extended periods of exercise.” Long story short, creatine supplementation helps ward off fatigue and shorten recovery time. Once again, we agree. Scientific evidence has proven these again and again. Well, NutraKey Creatine Monohydrate is just that: good, old-fashioned creatine monohydrate and nothing else. This is the most efficient of its kind on the market. More specifically, this product has five grams of creatine monohydrate per serving. Five grams of creatine is the optimal amount. This much should help you reap its full benefits. As evidence, individuals who are in the loading phase commonly consume 20-30 grams “split into four or five doses,” per U.S. Figure Skating’s official website. If you do the math, that comes down to five to six grams of creatine per scoop, which NutraKey Creatine Monohydrate easily matches. The biggest issue with creatine monohydrate is absorption. When a nutrient has poor bioavailability, a consumer won’t reap the full benefits. We’ve seen our fair share of companies which don’t trust creatine monohydrate – they include key amounts of creatine magnesium chelate or creatine ethyl ester for improved bioavailability and, hence, better overall results. However, NutraKey Creatine Monohydrate is different. This supplement has “an ultra-micronized creatine monohydrate formula for maximum bioavailability. This means that, serving to serving, more creatine is available to be absorbed by your body than traditional creatine monohydrate formulas,” per its official website. Well, we’ve seen customer feedback online and they swear NutraKey Creatine Monohydrate works. Some consumers even say they established new personal records at the gym when they started taking it. We believe them 100 percent. We’re hoping you’ll enjoy this product’s immense benefits as well. There’s nothing to dislike about this supplement. It keeps things downright simple (think KAGED MUSCLE PURCAF CAFFEINE, whose solitary ingredient is 200 milligrams of PurCaf Organic Caffeine per capsule) and effective. If you want a solid creatine monohydrate supplement which delivers the goods, this is it. Creatine monohydrate, 5,000 mg: Creatine is a molecule which the liver, kidneys, and pancreas produces. It helps increase muscle mass and energy levels, ward off fatigue, improve athletic performance, boost neurological function, and promote healthy blood sugar levels. NutraKey Creatine Monohydrate’s impressive five grams per serving should help you reap all of these impressive benefits, and then some. If you’re a consumer, NutraKey Creatine Monohydrate is one bodybuilding supplement which dispels your doubts the first time you size it up. All you need to do is look at its solid and clean ingredient profile. You get an impressive five grams of creatine monohydrate per serving: no more no less. We’ve laid out the facts for you, too: many experts have said this ingredient is safe and effective. You won’t only build muscle mass, but increase your energy levels and improve your athletic performance as well. And the hype about this NutraKey Creatine Monohydrate being able to “increase strength, muscle size, and endurance,” per the manufacturer’s official website? You better believe it. Since experts have sung NutraKey Creatine Monohydrate’s solitary ingredient’s praises, you can be sure it’s a top-notch product. We’re talking about the most effective kind of creatine on the market today. We’re confident it’ll help you achieve your fitness goals. If there’s one impediment to maximizing creatine monohydrate’s effectiveness, it’s absorption. The manufacturer is one step ahead of everybody else: the company ultra-micronized NutraKey Creatine Monohydrate’s content for superior bioavailability. We never thought we’d say that about a creatine monohydrate product, but we just did: this product is one of a kind. Many customers have attested to NutraKey Creatine Monohydrate’s superior quality. If they can establish all sorts of personal bests at the gym, you can, too. This product comes in unflavored powder and capsule form. Whatever your preference is, expect a profound difference in your workouts. You’ll be conquering those fitness plateaus in no time. NutraKey Creatine Monohydrate is one of the cleanest creatine supplements on the market. You won’t find any fillers and shady proprietary blends in it. For that, we tip our hat off to the manufacturer. The price ($12.00 for a 100-capsule bottle and $31.00 for the 1,000-gram powdered version) is a great bargain. Any time a bodybuilding supplement exceeds your expectations and doesn’t put a dent on your wallet, it deserves a spot in your shortlist. We found no glaring weaknesses in NutraKey Creatine Monohydrate. We daresay it’s one of the best creatine supplements out there. Go and get yours today. We agree with all of these claims. NutraKey Creatine Monohydrate is one of the best creatine supplements which should exceed your expectations. The manufacturer intended NutraKey Creatine Monohydrate for healthy and active individuals who want to increase muscle mass, strength, endurance, and power and achieve their daily fitness goals. Although NutraKey Creatine Monohydrate has no glaring side effects, please consult your physician if you feel doubtful about any of its ingredients. Five grams of creatine monohydrate per serving. Time-tested bodybuilding supplement ingredient. Offers full benefits of creatine. Increased muscle mass, endurance, power, and strength, among other things. Impressive bioavailability. A creatine monohydrate supplement in a league of its own. Great reputation. Customers have sung its praises online. Clean ingredients. No fillers and proprietary blends. Versatile. Comes in capsule and powdered form versions. No glaring weaknesses. Far and away one of the best creatine supplements on the market. If you want to keeping things simple and effective, NutraKey Creatine Monohydrate is the way to go. You just cannot pass up on five grams of superior ultra-micronized creatine monohydrate per serving. 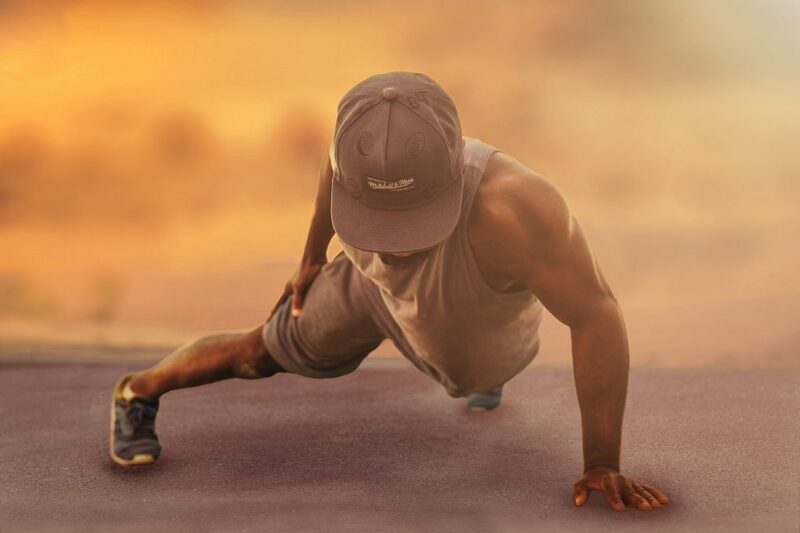 We’re confident your workouts will never be the same. We highly recommend you buy NutraKey Creatine Monohydrate. Add it to your supplement stack and experience immense gains from here on out.